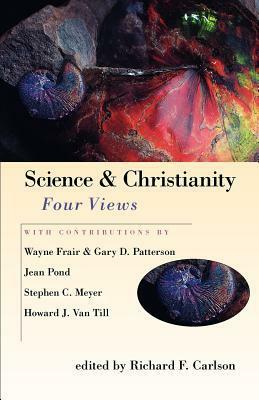 What is the relationship between Christianity and science? – An Overview of 4 Views | J.W. Wartick -"Always Have a Reason"
Thanks for reviewing this volume J.W.! I believe that when we finally understand what the Bible was telling the people that originally were given it and we finally understand the science of the universe, the 2 will be in perfect agreement. If science is a systematic pursuit of truth through inquiry, observation, logical evidence examination and testable theory, the study of Scripture and learning about the LORD God Yĕhovah Creator of heaven and earth is science. Only Scripture can answer the essential question of why there is something rather than nothing. the age of the universe is an enigma. Retrospective calibrations and expansion rates imply roughly fifteen billion years, while Scripture reports God’s invisible plan birthed by His unparalleled intellect became visible reality during six evenings and mornings. Does that mean God created the cosmos in 144 hours or will exanimating the text reveal something more? Four Hebrew words “‛ereb, bôqer, hâyâh, and yôm, translated as “evening and morning were … day”, a phrase found only in the first chapter of Genesis, glorifies God by uniquely emphasizing the miracles of each Creation event. The root meanings of the first two words are contrasts: ‛ereb relates to chaos and bôqer to order; hâyâh is to become or exist. Entropic cause/effect natural law principles require order to seek equilibrium by sinking into disorder (chaos) but God’s verbal intervention caused the opposite effect. God spoke to evening’s absolute nothingness, “Let there be light!” By morning mass-energy, time-space and precise universal laws existed. Each of the subsequent five Creation evenings followed the same pattern; when God spoke, wholly new components, built on the previous design, arose and by morning were fully developed visible order. Creation demonstrates the supremacy of God’s light and life as the remedy for darkness and death. The word yôm, translated day, that separates each Creation period, is a unit of time with a variety of applications. God named daylight yôm. Both 24 hours and finite but unspecified periods of time are yôm. The finite but unspecified period (with no ‛ereb bôqer hâyâh) after Creation was complete is identified as the seventh yôm while the entire Creation event is yôm. Yôm Yĕhovah (day of the LORD) citations are also finite but unspecified periods. There is no conflict between Scripture and science. From God’s perspective beyond space and time the duration of each finite Creation day perfectly accomplished His purpose.